Does Higher Price Suggest Higher Quality? They say a picture paints a thousand words. This picture, compliments of the New York Times Freakonomics blog, tells a whole story. Does your firm offer the 5 ounce bag of Cheetos at 65 cents, or are you a "premium" firm offering the same 5 ounce bag of Cheetos at 75 cents? 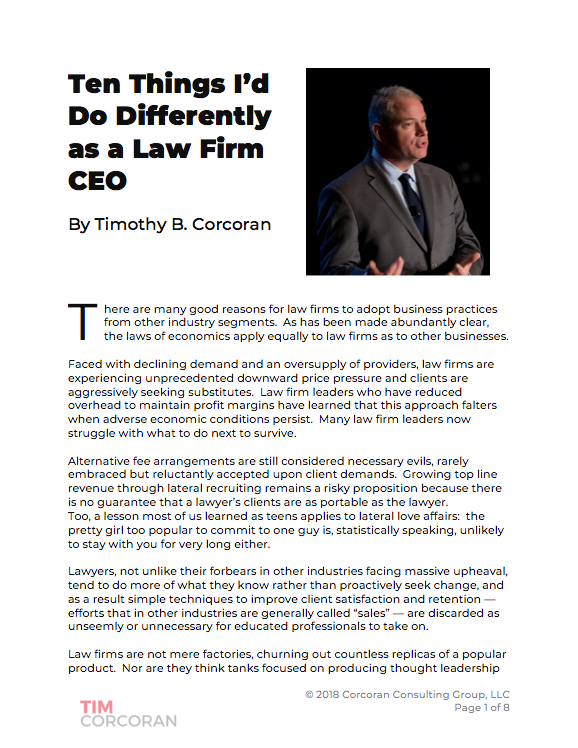 So many law firms believe they occupy a premium position in the marketplace, one which justifies higher fees than the law firm down the street. Yet they fail to differentiate themselves in any meaningful way, except on price. Which are you?